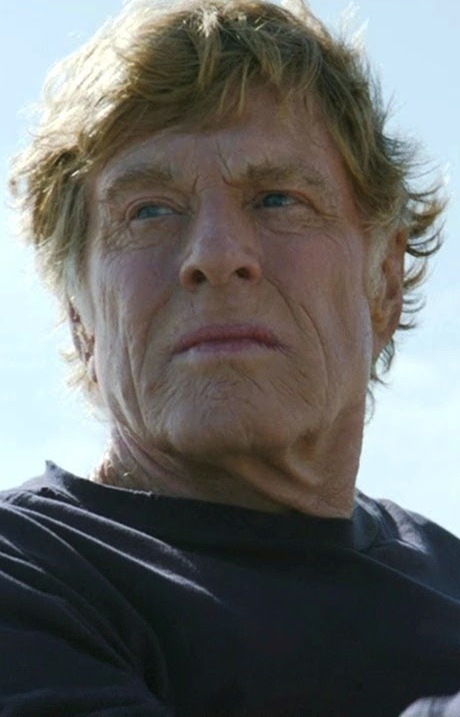 Robert Redford is on a boat, in the new survival movie All Is Lost; just about the bleakest possible name for a film, short of calling it He’s Fucked. With Gravity still floating around the top of the box office, J.C. Chandor strips back the survival story even further, with one man, one boat and next to no dialogue. There’s none of the fantasy of Life of Pi or the bickering of Open Water. Just Robert Redford, a character with no backstory or name. Unless his name is All, which would make the title slightly more descriptive. This ferocious naturalism makes All Is Lost a fantastically gripping movie. It starts with everything going wrong and just gets worse. But despite the bleakness of the situation and title, there’s always the vital flicker of hope thanks to Robert Redford’s sheer resourcefulness. We can only imagine how long we’d last in his place; personally I’d predict about 30 seconds, before I’d give up and drown. Good thing they made this film about Robert Redford and not me. Redford is ridiculously impressive as the film’s only character, in a performance which is virtually silent and completely Oscar-worthy. It would be a physically demanding role for a 20-something, never mind a 77-year-old. He conveys profound emotion purely with his face, which deserves an Oscar all to itself, like Cate Blanchett’s for Blue Jasmine. This wonderful performance is kept afloat by the film’s technical achievements. The cinematography is breathtaking, capturing the action from above and below the water. The sound too is totally immersive, from the tiny scratch of a pen to the howling wind of a storm. We feel completely submerged in conditions which make the UK’s recent weather look like a splash in a puddle, providing a savagely elemental atmosphere. The score unfortunately threatens to undermine this brutal naturalism; solely diegetic sound would have given the film an even stronger sense of reality. The voice over at the start of the movie is equally redundant, as it comes from a letter Redford writes towards the end of the film. When we hear it at the start it’s meaningless, and by the time we see him write it, we’ve forgotten what it said. But these are minor problems in a fantastic survival film. All Is Lost is one of the best of its kind, its bare-boned minimalism showing how profound it’s possible to be without uttering a word. The film has an existential anchor typical of this type of movie. The feeling is one of isolation in an indifferent universe; that humans are at the mercy of nature, drifting, dying, alone. Happy new year!